We all have heard about the gloomy success rate of restaurants around the world. While most people will marvel at the statistics of failed restaurants, they also do not understand the reasons why restaurants fail a lot. You may decide to change your staff or even improve your interior décor. But, did you know that the failure to have efficient restaurant operations may be the problem? Have you ever sat back and thought of improving your restaurant operations? If you are like most managers, this will often be your last resort. In fact, running a restaurant may sound like a simple and fun task to most people, except the people who actually manage efficient restaurant operations. It is really easy to let some things slip on a busy night. Every great restaurant manager will, however, advise you against doing so. Letting the small things pass you by will lead to a quick demise of your restaurant. Operational improvements, on the other hand, are not a walk in the park as there is no silver bullet. You do not only have to work hard but also deal with painful processes such as reducing your workforce. A couple of things will constantly give you a headache should you decide to optimise your basic restaurant operations. For example, you might have to adopt a seasonal menu, bring in casual staff, trim down your staff size or even make changes based on shifting legislation. It may sound and even be a bit difficult to streamline restaurant operations management but it is not impossible. Knowing the right steps to take will help you create efficient operations. The steps included below can help you save your failing restaurant and help you with the knowledge of how to operate a restaurant business. Before exploring the steps necessary to have efficient restaurant operations, it is crucial to understand the importance of having effective operations. There are various benefits of improving efficiency in your restaurant and having an improved customer service is one of them. Restaurants are service businesses and your ability to improve customer service will go a long way in ensuring your business thrives. Your diners will definitely thank you for a job well done. How? You may ask. Having efficient restaurant operations will ensure that you have effective inventory management systems. This means that you will always know and coordinate how you receive your inventory. This may seem like a small issue until your clients get frustrated when their favourite dish is off the menu. Remember KFC’s chicken crisis? The fast food restaurant had to close more than half of its UK outlets, with many customers contacting the police over the lack of chicken. Another benefit of having efficient restaurant operations is an increase in profits. Once you upgrade your business operations, you will be able to reduce waste and increase your profits. Restaurants have reported that diners who use tech-enabled tables end up paying about 12% more than regular clients. 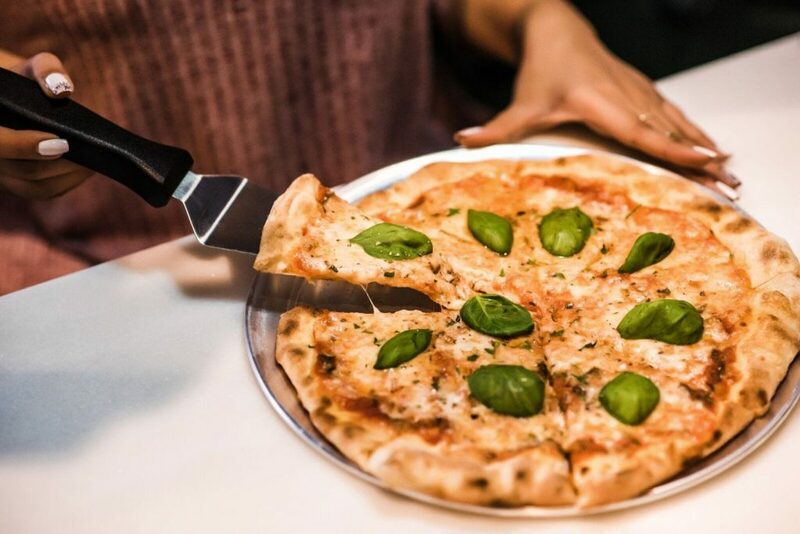 Other benefits of these efficient restaurant operations include better employee satisfaction and the ability to adopt sustainable business practices. Unlike other types of small businesses, restaurants face some unique challenges. A good restaurant manager should know some of the operational challenges that they are likely to face. This will help them to prepare and then deal with any challenging issues that may arise. Solving these challenges is even more important to the businesses that have not crossed the 1-year mark. What are some of these challenges? This had to be the first item on the list. If you get this wrong then there won’t be a business, regardless of how good your food or service is. Having adequate capital at the right time is one of the main problems that many restaurants face. Opening new restaurants take up a lot of money. This means that the restaurant will have to operate for a couple of months without profit. You will, however, need to ensure that the restaurant has about a year’s worth of capital. A rainy day fund will also come in handy when there are shifts in inventory price or unexpected expenses along the way. Knowing how to hire and train your staff will make a significant difference in the operation of your restaurant. Although having a reliable and stable staff will ensure you sleep well as a manager, there is a high turnover rate in the industry. This eventually leads to high hiring and training costs. Restaurant managers are encouraged to train, inspire and establish a solid management structure to ensure the restaurant can run in their absence. A good staff will largely depend on how good the management is. The restaurant’s management should not only be organised but should be able to offer a clear direction to the business. Delegating roles is also important for management as the managers cannot be involved in all aspects of the business. The day to day running of the restaurant will be tedious. As a manager, you will have to collect and analyse a lot of data from the business. Failure to do so would mean that you will be unable to determine whether you are profitable or not. How you manage your restaurant operations will play a key role in the success of your establishment. It is difficult to train staff, keep up with daily sales while ensuring quality customer service and complying with local legislation. This is why it is important to have an efficient operating system that will ensure you are on top of things. Here are a couple of steps to take to improve efficiency. One of the first things to do is to get a clear understanding of where you stand before you can decide where you want to go. For example, you can review the steps that employees have to follow when they come to work. This starts from the time the ingredients are delivered to when the services are delivered to the clients. Look at the time it takes to prepare, cook and deliver food to the consumer. The process mapping may be messy but it will give you a lot of insight on the restaurant operations. It will help you to determine what works and what doesn’t. This will also help you to discover the time-consuming processes. After your audit, you will be able to determine the parts of your operation that require to be upgraded. Theft in restaurants is not a foreign concept. If you have experience in restaurant consulting or management, then you know that security in the business is critical. You may not risk theft from burglars but you will likely be at risk for theft from your employees or even customers. Customers are different and you may find a self-proclaimed ashtray collector or spoon collectors and antiques. Employees may also decide to walk away with some valuables from the restaurant. This does not necessarily mean that your money will be at risk but other valuables too. For example, a member of your staff may decide to steal inventory, expensive bottles or even decorations among others. How can you prevent this? Installing security systems such as security cameras, hiring a professional security company and using a cash logistics firm is one way to boost security. Although you will not be able to guard yourself against all the mishaps, you can reduce the amount of loss that you face due to poor security. Managers do not pay sufficient attention to the flow and management of inventory. However, inventory is probably a restaurant’s biggest purchase, hence the need to keep tabs on what happens to them. Any lost or even wasted inventory should count as lost cash in the business. What can you do to increase efficiency? Well, the first will be to keep a constant check on the level and state of your inventory. You can tell a lot from being aware of your inventory plus it will ensure that you do not lose inventory. It is also important to prioritise your inventory and to keep it organised as this will improve inventory management. Proper inventory management practices will reduce the time it takes to keep stock and move products. This will, in turn, improve service delivery by reducing the time it takes to make food in the restaurant. Also, it will reduce waste and increase the total revenues for the business. The failure to have a centralised training program only means one thing. Your employees are the ones in charge of training new hires on how they work. Although you may have the best employees in the world, this also means that not every employee in the company is on the same page. New employees will have to depend on the knowledge and skills of the old employees and this will also pass down their inefficiencies. Labour will be a significant cost for your business and the lack of a centralised training and hiring program will only increase this cost. Your best bet is to ensure that you have the right staff in the right place and time to ensure you record an increase in sales. You should also ensure you have a rough idea on the output of your employees to make prudent management decisions. A good hiring and training program will increase employee satisfaction while reducing the turnover rate in your restaurant. This means that you won’t spend more money training new employees every time. Wastage of resources, inventory or even food equals the loss of investment. A study by the Business for Social Responsibility highlighted the magnitude of food wastage by restaurants. It asserted that about 15.7 percent of food or 3.3 pounds of food waste per $1,000 of a restaurant’s revenue would be wasted. A significant percentage of this food from American restaurants (about 84%) would end up in landfills as opposed to being recycled. This shows that restaurant businesses lose a lot of money. How can you reduce waste? You will have to train your staff, forecast your inventory and manage the waste that you get. Do you serve customers too much food that there is a lot of leftovers? Do you over-order? Do you throw out expired foodstuffs and ingredients? These are some of the questions you will have to ask and update your inventory management accordingly. Reducing waste will help you save on the losses you have made while increasing operational efficiency. There is no shame in deciding to get help if you want to improve your restaurant operations. There are a lot of different ways to get help and one of them is seeking restaurant consulting services. Restaurant managers are often overwhelmed as they have to balance the general management of the restaurant with the day to day operations. At the end of the day, restaurants should focus on making some good food and offering excellent customer service. Employing the use of restaurant consultants takes care of the operational challenges that you are facing to allow you to focus on making great food for your clients. There are a lot of companies that offer restaurant consulting services and it is important to choose the best one. Select a restaurant consulting service that understands your brand and can help you improve restaurant operations efficiency. How will this improve operational efficiency in your restaurant? Adopting the services of a restaurant operations management business will help you outsource your operations. In turn, you will get to focus on the core aspects of your business. As a result, not only would you enjoy efficiency in your operations but it would also help you save time and increase your profitability. How Glee Hospitality can help in restaurant operations? There are a lot of benefits that your brand will get from getting the services of Glee Hospitality to run your restaurant operations management. Restaurants incur a lot of challenges due to the lack of an efficient operations management structure. For example, you might be taking a lot of time to serve your clients and not have a clue on what is causing the delay or why. Glee Hospitality will offer you an audit of your company operations to identify the problem areas. This will help to identify what your restaurant requires most and help you deliver it. Staffing is also a major challenge in many restaurants in the MENA area. Glee hospitality will not only help you to input proper hiring practices but will also offer you human resource management. The company will deal with any human resource issue to help you focus more on running your restaurant. You will no longer have to worry about hiring or training your employees. This ensures you focus on your business and have a piece of mind while at it. Inventory management is also one of the crucial parts of any restaurant business and it is important for managers to get it right. You have to know how much inventory you have and how long it will take before the inventory is depleted. Restaurants purchase a lot of inventory with some of these being perishable ingredients. A good restaurant manager should know the level of inventory to avoid waste and save on funds. Good inventory management also means that a restaurant will be able to account for all the inventory that they purchase. At Glee Hospitality, you will be able to adopt centralised purchasing, which means that you will never lack resources. What makes us the best company to handle your restaurant operations? Established in Dubai in 2009, Glee has grown to become a leading F&B consultant in the MENA region. We offer end-to-end solutions and expert knowledge in restaurant concept development and management. 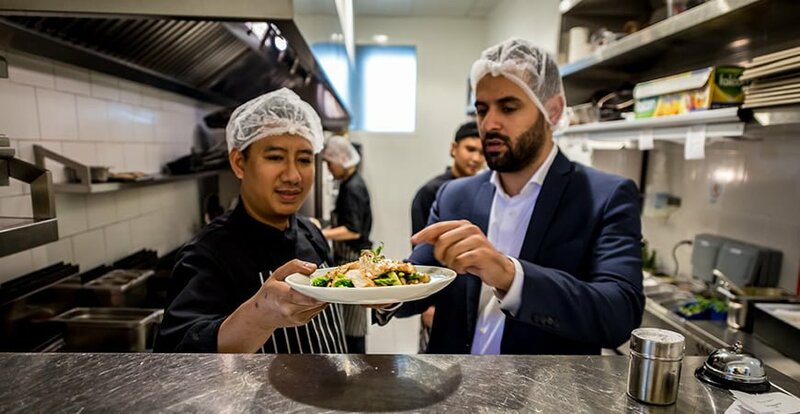 Over a few years of operation, Glee Hospitality has helped developed more than 50 food and beverage concepts while opening more than 70 restaurants outlets in various locations. These include UAE, Oman, Saudi Arabia, Egypt and Kuwait among others. Do you want a company that offers customised solutions according to your needs and client preferences? Glee Hospitality has proven to be a reliable company that offers comprehensive solutions in restaurant management. In summary, the lack of good restaurant operations management is one of the main challenges in the restaurant industry that cause the closure of many businesses. What benefits do you incur from streamlining your restaurant operations? 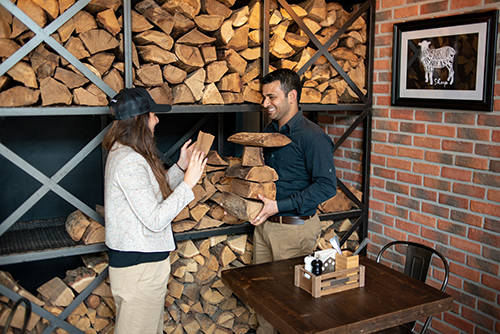 Increased profits, reduction in waste, better customer service and restaurant success are some of the main benefits of hiring a restaurant operations manager. A number of steps are also mentioned to help you streamline your restaurant’s operations. These include good inventory management, auditing key processes, proper inventory management, adopting a good staffing program, hiring a restaurant consultant among others. Glee Hospitality is the reliable restaurant consultants who can help you manage the operations of your business. Why not contact us today?